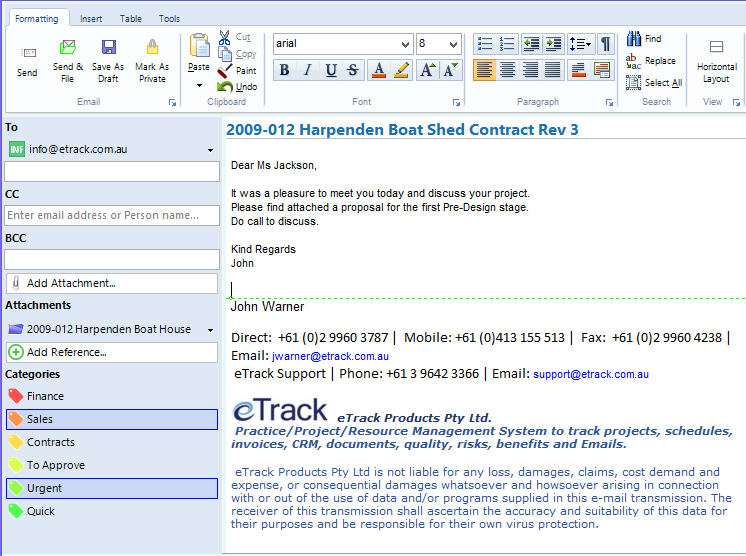 The eTrack practice management system now has built in email. This means staff will have it open all day long and in the same program have the practice management tools to track time, budgets, resources, documents, contacts, quality and financials that will encourage their continued use. 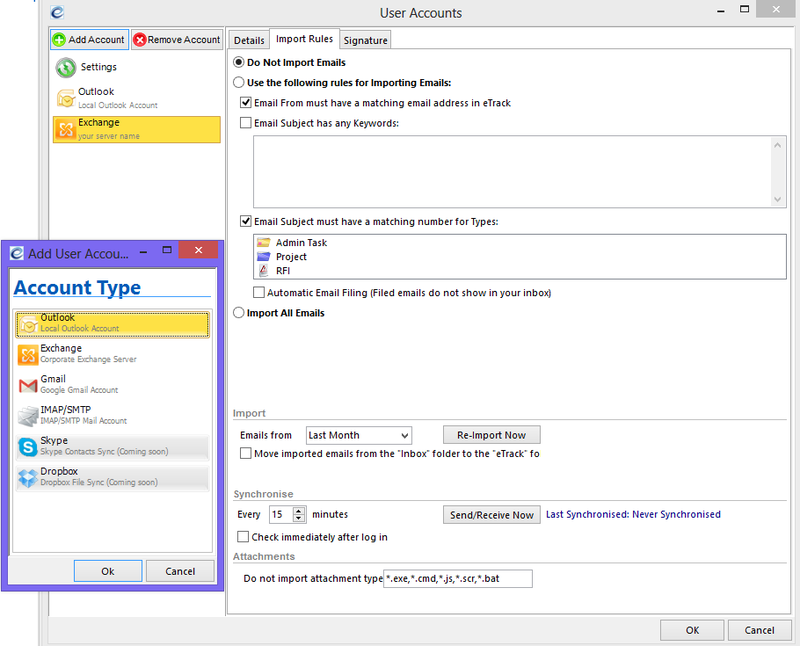 eTrack will synchronise emails with any Email system such as Personal Outlook, Outlook Exchange, any SMTP email system, Gmail or any IMAP account interface that can be used to sync with Google mail, Hotmail, Yahoo mail, outlook.com, Entourage, Apple Mail, Microsoft Entourage etc. Open any number of smart Email dialogs.